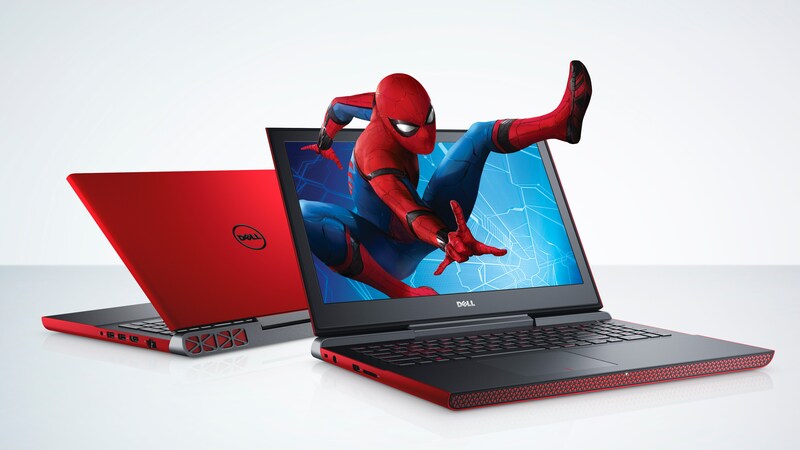 Dell revealed a new Inspiron 15 Gaming laptop today at the Consumer Electronics Show in Las Vegas, and a new image from Spider-Man: Homecoming is featured in their promotional materials. Check out Spidey swinging out from the laptop screen in the image above. We can finally say that Spider-Man: Homecoming is out this year! It hits theaters on July 7th.